There has been a surprising amount of pool-based games released onto the Nintendo eShop as of late, hasn’t there? We have the simply named Pool, which looks to be giving Tennis a run for its money in the award for most generic title of 2018, as well as Premium Pool Arena that looks to add a fair amount of customisation into the mix. Next up we have Pool Billiard, a game that unfortunately is sure to sink to the depths of the digital store in no time at all. And with good reason, because this is an incredibly barebones experience that you’ll grow bored of very, very quickly. Upon booting up the game, you’re not exactly going to be spoiled for choice when it comes to choosing what to play first. You can pick between either the traditional Eight-ball Pool or the more competitive focused Nine-ball Pool, and then it’s on to the match. You can compete against the AI, your friend using the two Joy-Cons, or in a three-round tournament. There are six different opponents to play against, all of varying skill, but that’s where any sort of diversity begins and ends. There just isn’t anywhere near enough content here to back up the asking price. You’ll very quickly tire of playing against the computer, and the tournament mode doesn’t fare much better. It advertises itself as a competition that will take you to billiard halls all over the world, but in practise it is anything but. 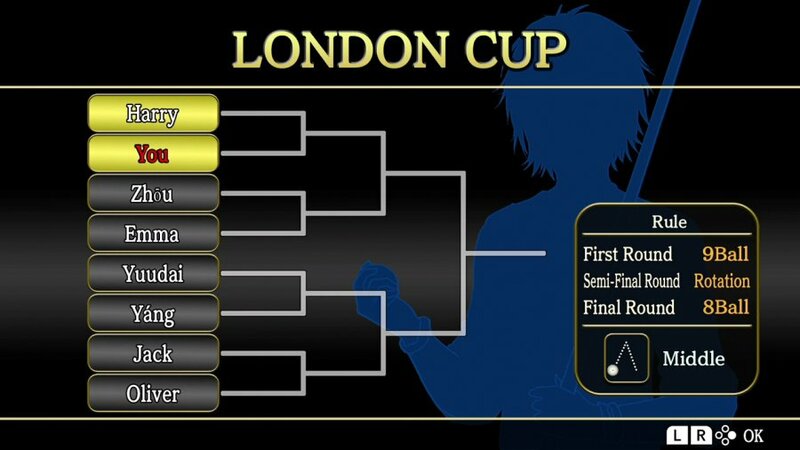 It’s all well and good calling it the Tokyo Cup or the Hong Kong Cup, but at least put in a bit of effort to make it seem like you’re actually there. 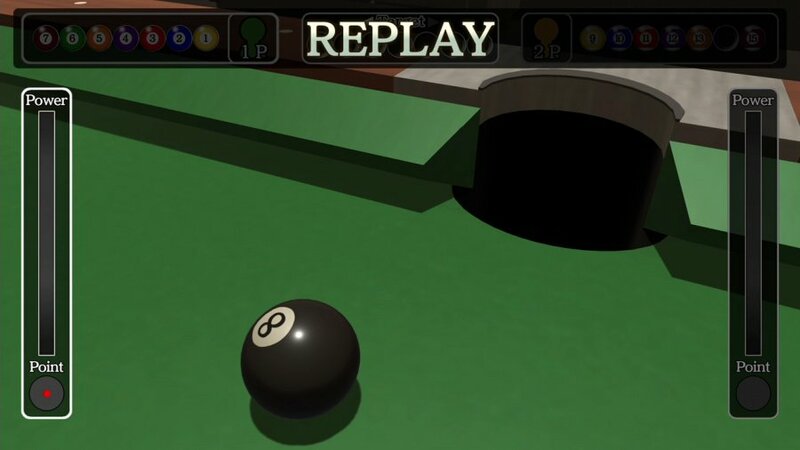 Every single environment looks exactly the same, and thus you’re actually just playing the same game of Pool over and over again in one dreary room. There’s not even any online functionality either, meaning you’re limited to playing against what the title itself serves up, or a friend you can somehow convince to play a match with you. There are high scores attached to each style of game, but with no multiplayer, you’re only competing against yourself. The literal games of pool you’ll play yourself are fine. Guide lines can aid you when taking shots, while you’ll get a slow-motion replay of every ball you pot. The amount of power you put into each shot is governed by the R button, and then you can release it by pressing A. If the way we’re talking about all this sounds monotonous, it’s because that’s exactly what Pool Billiard is. The experience is completely by the numbers with so little to be excited about, and so what should be an entertaining experience quickly becomes a borefest. The tournament mode could maybe stretch your play time to around two hours, but you won’t have much fun doing it. 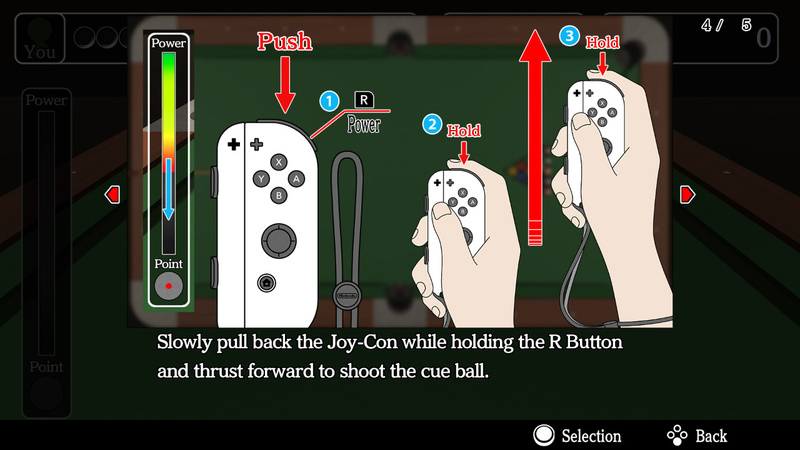 The tiniest of silver linings comes in the form of the game’s motion controls using the Joy-Con controllers. Pulling back the controller with your arm and letting go helps to resemble a real life cue, and it works well in motion. Obviously, it can’t replicate the act of lying on the table and taking aim with that cue, but it gets the power down. This is a neat little feature that deserves to be expanded upon in a much better game.